The Wheel of the Year is structured with sixteen essays, one for each of the eight seasons through two years, with an intermission essay, “Respect Writing By Not Writing,” which discusses taking time off. Extensive writing suggestions are included, as well as additional resources. 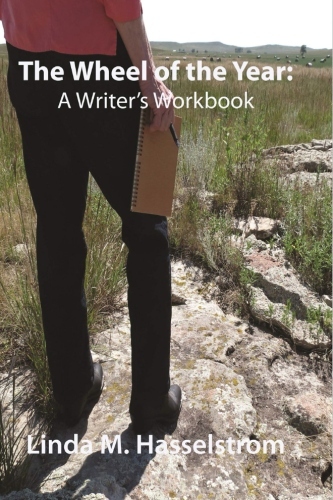 The workbook is intended as a guide and teacher as a writer sets up her own schedule of writing and develops a relationship with the natural and mundane worlds in which we live. If the reader came to a retreat at my Windbreak House Retreats, this might be a series of conversations we would have about writing. With 15 books in print, Linda M. Hasselstrom writes and conducts writing retreats in person and by email from her South Dakota ranch. Her most recent nonfiction title is *The Wheel of the Year: A Writer’s Workbook, *16 essays with writing suggestions and resources. Her latest poetry book is: *Dirt Songs: A Plains Duet*, poems with Twyla M. Hansen, Nebraska state poet.